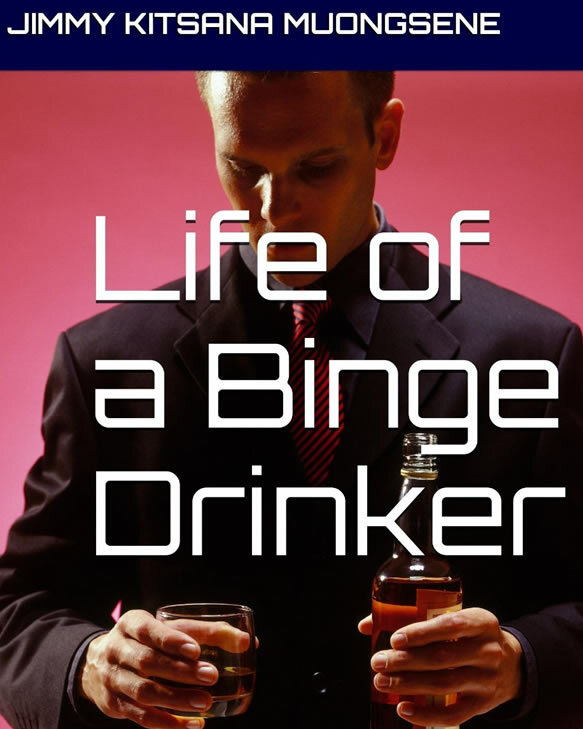 My life as a binge drinker is a revised version of my first book Binge Drinking – How I dealt with it and how I improved my life. I wrote this version so I could publish the book and promote the book to schools and teenagers to hopefully help them think about the consequences of binge drinking every weekend, binge drinking until they don’t know what they are doing where one night of binge drinking can ruin their life whether it be drink driving, one punch hits, fighting or making choices they wouldn’t normally make when they are sober. I really wanted to highlight my life as a serial binge drinker from the end of high school until only last year when I hit 36 years old that I decided enough was enough, I have to cut this out of my life otherwise I will never achieve anything and spend my whole life for the next 10 years doing the same thing. I never had the will to say no to going out and getting smashed until the early hours of the morning, I loved binge drinking so much, if I didn’t have money to go out and drink, I would borrow money and get myself into a world of debt and struggles. I remained in debt for a long time and continued to binge drink not making my life any better but only in the last 9 months, I have really changed my life for the better and cut binge drinking out of my life. I have achieved more in 9 months than I ever did in my 19 years of binge drinking and making bad choices in life related to binge drinking. This book is also about the hard times I went through from self-inflicted repeated mistakes and how I turned my life around to follow my dreams and become the best person I can be and live the best I life I can for me and my family. I hope to inspire people out there as I have lived through times of struggle, times of feeling ashamed of my life as I have nothing, times of wanting to give up but I pushed myself to keep going. I am still fighting everyday to push through hard times of financial circumstances but I know I have found my passion and my dream and that is what keeps me going everyday knowing that I am doing something I love which is helping people and developing their confidence. Not everyone out there will have made the same mistakes as me in life but I wanted to share my story as my life as a binge drinker. I will be happy if it helps just one person out there to change the ways and think about picking up that drink or making that decision to go out when they know they shouldn’t. I really hope my book inspires people to live a better life and become a better person for themselves. My name is Jimmy Kitsana Muongsene, I wrote my book “life as a binge drinker” to share my experiences and life lessons growing up in Canberra from when I was a teenager to adult where I was wasting my nights and weekends binge drinking like there was no tomorrow. I want to share my story about how binge drinking lead me down a journey of repeatedly making bad choices throughout my life and missing many opportunities in school, work and sports. I did this for nearly 19 years of my life and never progressed anywhere to make my life better even though I tried to stop binge drinking on several occasions. Only in the past 10 months i have made the decision to slow down and stop binge drinking for good where my life has improved and I have achieved many goals that I should have many years ago. I want to share my story to help young adults or older adults to show that binge drinking is not a good pathway for a good future in life and many decisions you make while binge drinking can affect your life for the future. People may not make the same mistakes I did related to binge drinking but they might see from the mistakes I made, binge drinking is not right way to live life and there are better options out there to change themselves and quit binge drinking for good.